Had the pleasure of meeting 107-year-old Bassia Guterman earlier this week. Ms. Guterman’s parents were Russian, though she was born in northern China where her father was a wealthy hotel impresario. Guterman speaks of a fantastical life in China, with cooks and houseboys and nannies and opulence and leisure and, as Ms. Guterman puts it, “not enough for a woman to do” – so, as Communism took the country over, she and her family moved to Canada. 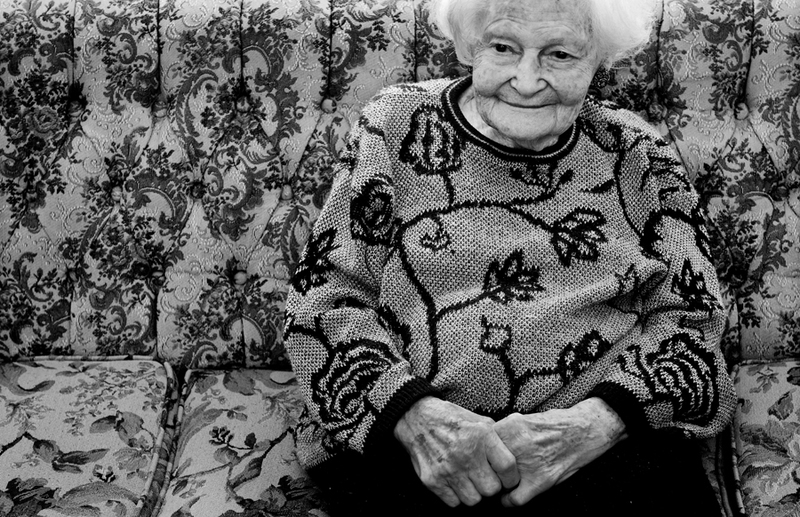 107-year-old Bassia Guterman poses in her home in Toronto.